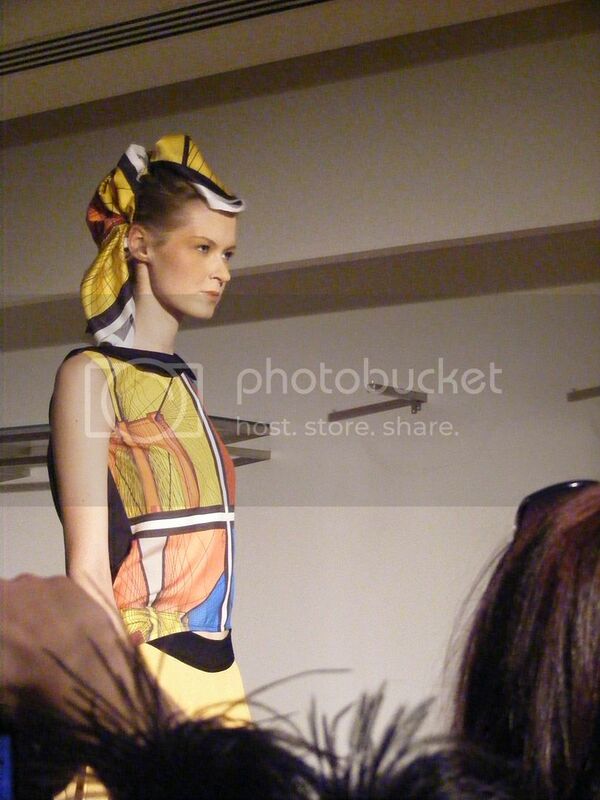 So, London Fashion Week officially began yesterday! Somerset House and it's surrounding areas have turned into a haven for fashionista's, and there are an endless amount of women running in heels, wearing extreme outfits. I had a few morning shows, which I decided to give a miss as I spent a very lovely morning and afternoon with Rachel, Amy and Susie. London Fashion Week officially began early afternoon for me, when I picked up my press passes (yaaay) and then hung around the press lounge, which was filled with Vitamin Water and lots of Journalists, and also walked around for a while. My first show of the day was Eun Jeong and I bumped into the very lovely Daniela while there. I actually really liked the show. There was some cool 40's music and the collection was definitely channeling the 40's vibe. 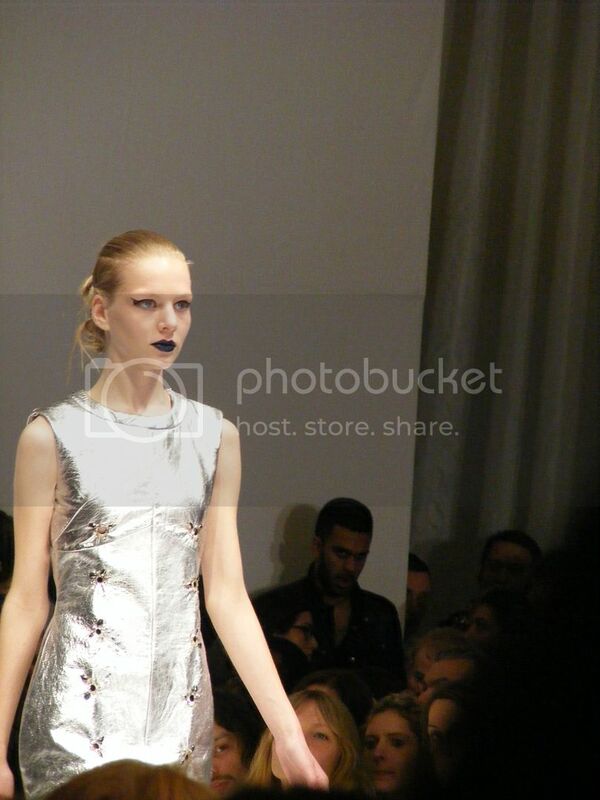 The collection consisted of a lot of cool black dresses, hair pieces and gloves, mainly in black, beige and grey. I actually really liked the collection. The 40's look will definitely be something to look foward to over the Autumn. 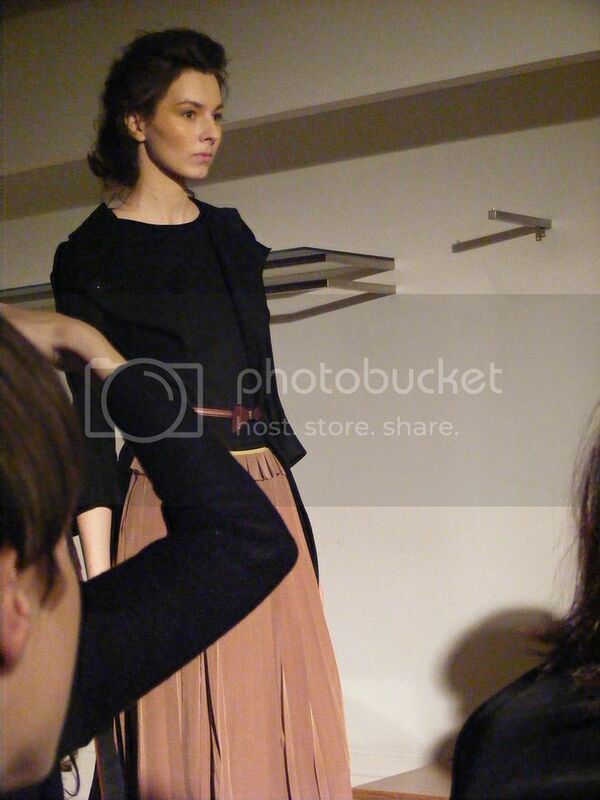 I also quite liked the loose, drapy stye of a lot of the pieces. My second show of the day was Felder and Felder. I was so excited when Vitamin Water hooked me up with tickets for the show: definitely a highlight. I glamorously took the bus from Covent Garden to Charing Cross for this show. It was actually manic to get in though: such an experience. I have to hand it to the people working the show for making it as organised as possible. There were a lot of people there and so getting into the show was quite hard, and I did have to hang onto Daniela's bag so I didn't get lost! It was definitely worth it. The show was fantastic and there a few celebrities hanging around as well. 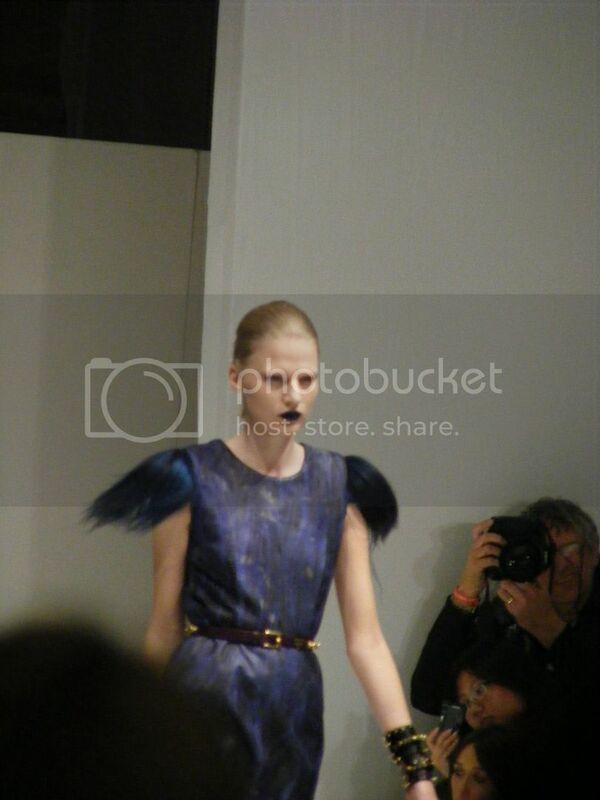 It was a very fun show, and there was a lot of sparkles and feathers in the collection. I love anything sparkly, so really enjoyed seeing it on so much. 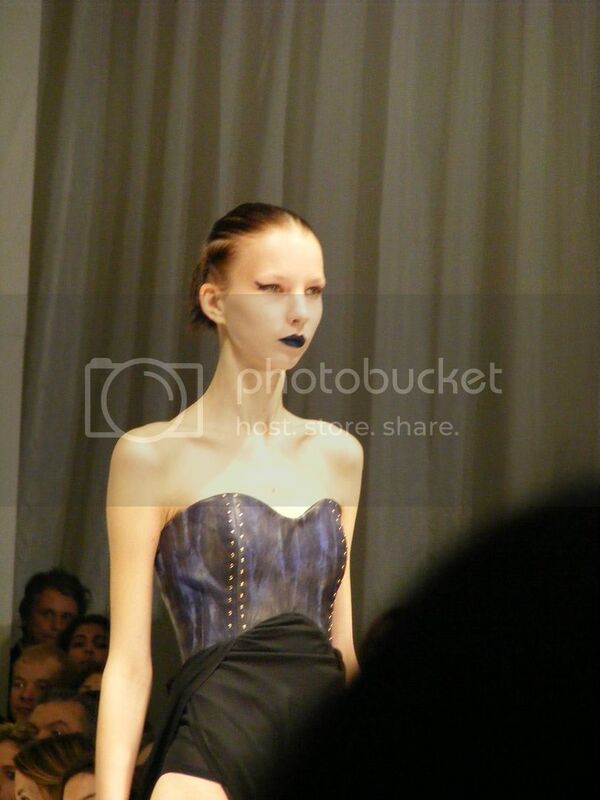 I was also quite happy to see a lot of black on the catwalk: by far my favourite colour to wear. 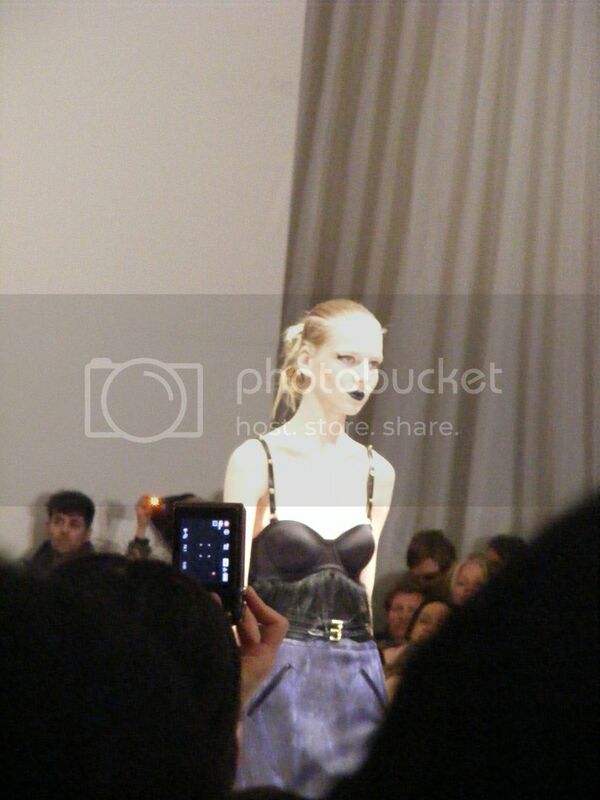 I was meant to be at Bora Aksu and Jasper Garvida in the evening as well. Unfortunately, Aksu was completely over-booked. despite waiting out in the cold for ages, I couldn't get in. I was so cold and tired by that point (I went to bed at 2am the night before), that Idecided it would probably be best for me to go home. I'm at a few shows today, so check out the blog tomorrow to see what they're like. P.S. I do have a ton of pictures, which I hope will be uploaded to my facebook page at some point tomorrow. Love the hair pieces in the Eun Jeong show. This sounds like such a fun event and I would love to go to something like this. Wow it must be so cool being there!Nice photos! 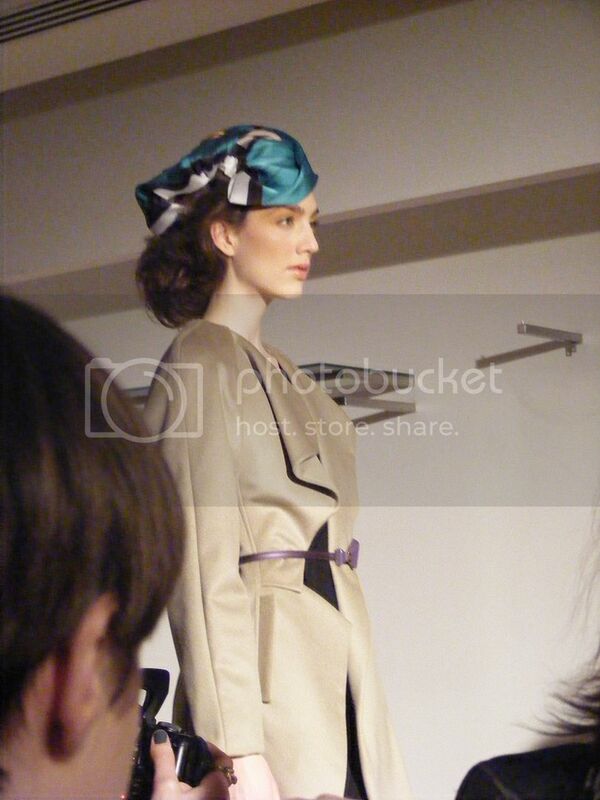 Loving the headscarves in the Eun Jeong show - wish I knew how to carry them off so well! I loved this post! It must be great to be there. Amazing photos, can't wait to see more! 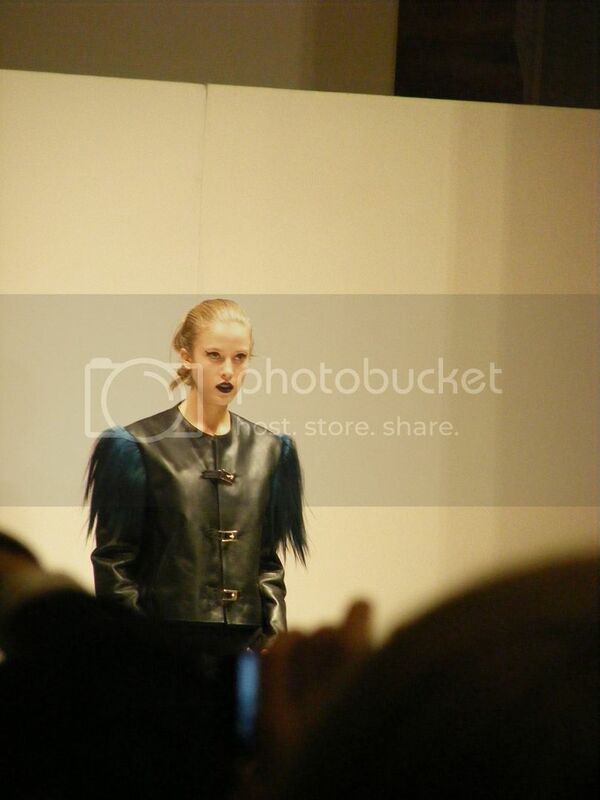 The makeup in that last show is crazy cool. Not something I could pull off, but cool on the runway! I love all the looks in the first show - they're a bit more ready-to-wear than the second looks, but all are gorgeous in their own ways! And that makeup in the second show is just stunning and runway perfect. Oh, you got to go! You're so lucky. Sigh, Fashion Week makes me so happy. Can't wait until Burberry! Sounds and looks fun :) Enjoy your time!!! gah i love the blue lipstick, it is just amazing and glad you are having fun!